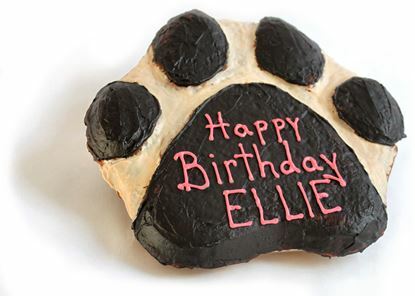 A Birthday gift for that very special friend and companion. 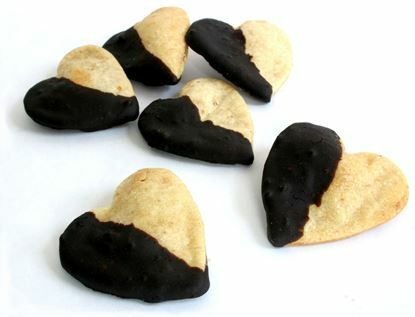 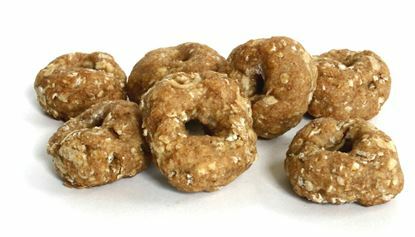 One Pound of our lip smacking handmade gourmet dog treats; Banana Crunch Muffins, Peanut Butter Biscotti dipped in Carob, and "I love my Dog" Chicken Bones. 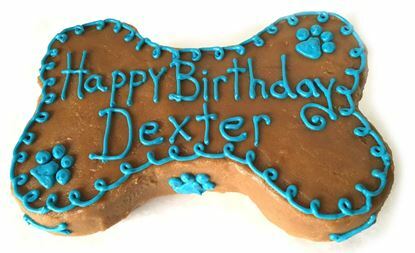 We include a doggie bandana, "lots of fun" dog toy, and a birthday hat. The dog treats, bandana, toy, and hat are all packed in a handy basket that is great to store all your treats or toys in. 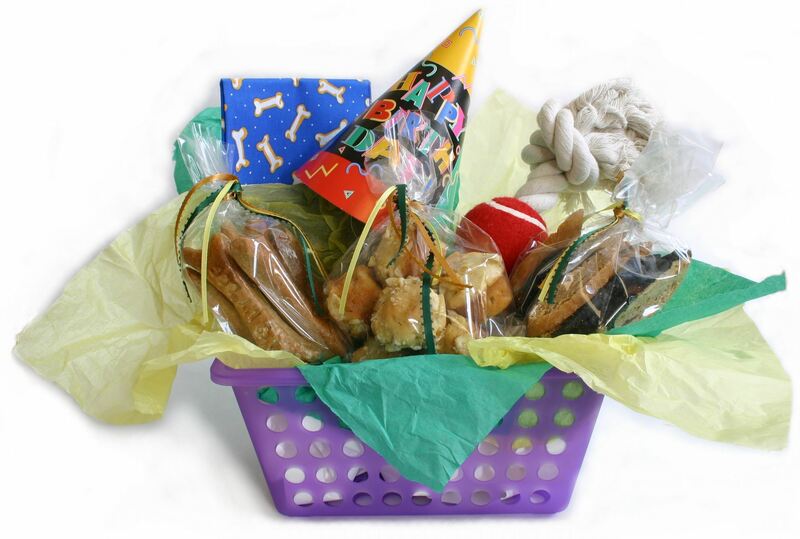 The basket also comes with a personalized birthday card.